(www.ginosfruitandveg.com.au) – go to the homepage or ORDERS page, whichever one you would like to add a shortcut to. 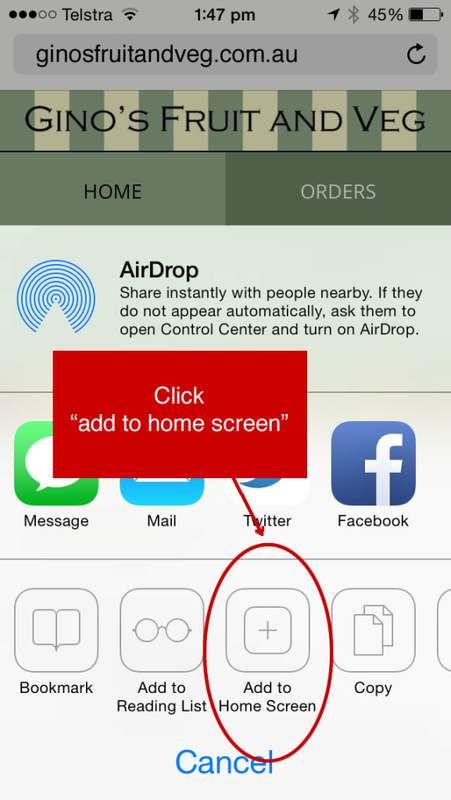 Click ‘Add to Home Screen’ (see image below) … you can then slide the icon to wherever you like. Now you will have a little app or icon on your homescreen to take you straight into Gino’s website to place your order! !